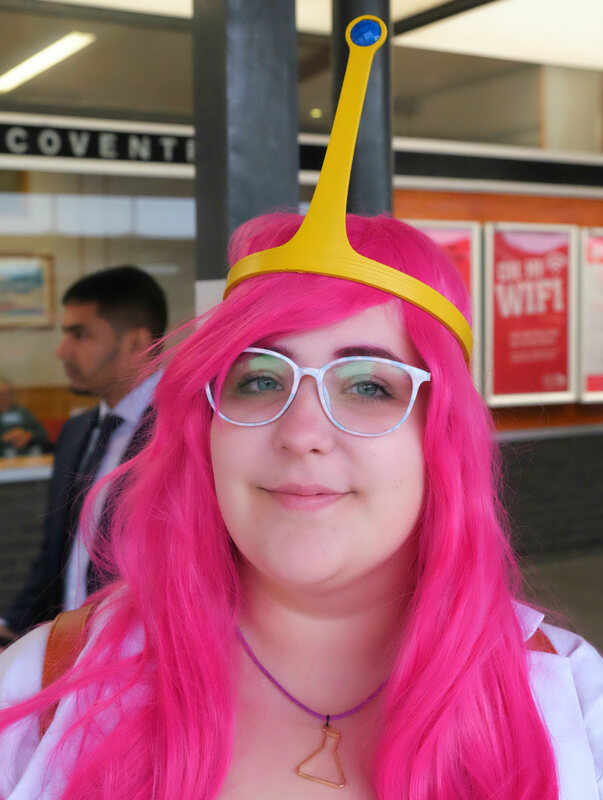 The BEST (most nerve-wracking) part was travelling on the train to London in my costume. 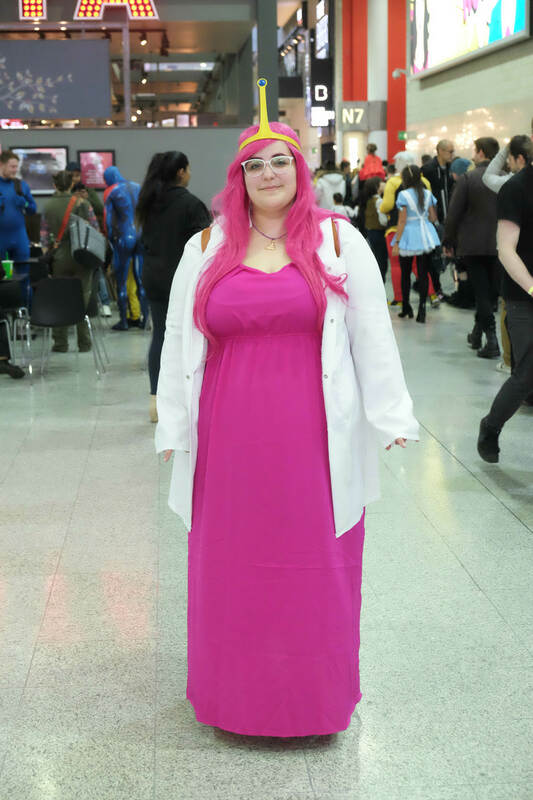 I am so surprised I didn’t get any weird looks or mean comments, particularly in my home-town, but as I got closer to the convention more and more people in costume surrounded me on the tube and I felt more at ease! 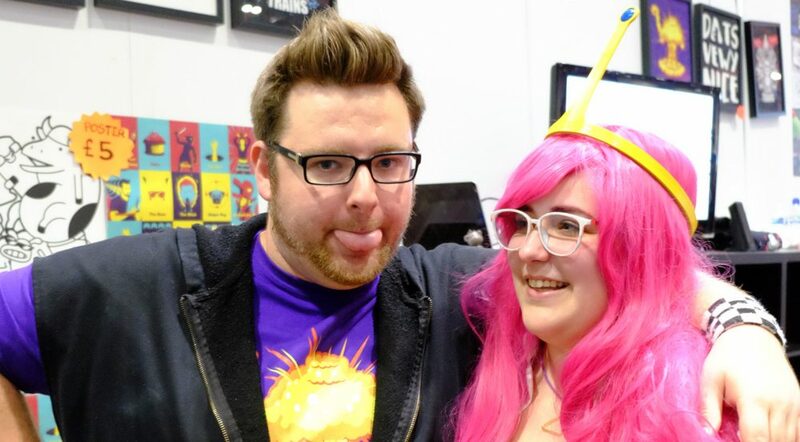 Now onto the core of the event; meeting Tom Ridgwell (aka TomSka). He was probably the only reason I went to this particular convention, as one of my goals for before I turn 30 was to meet someone I admire. I watch his “Last Week” vlogging series (hence the title of this post), and he is probably one of the more honest YouTubers I watch. He doesn’t cut out his issues and present a perfect characterisation of himself for his audience. Above all he is really funny, and that’s something I really value in people. The ability to make people laugh. It’s something most of my friendships have been built on. However, when I met Tom that day and I stood in the queue, I noticed the blank look in between the smiles his fan’s cameras. I wanted to check he was okay. 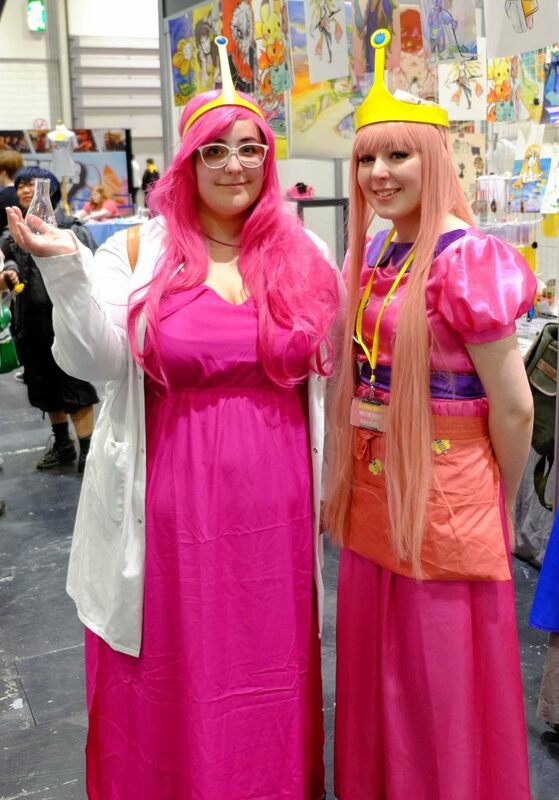 So up I walked, this real-talking 28 year old in a Princess Bubblegum costume. I wanted to give him a break from the screaming 15 year old girls and their fake panic attacks. And at this point I forget that he doesn’t even know me because I feel I know so much about him. Then I realise, they just meet you for a fleeting moment even though they make such an impression on you. Perhaps I was a little forward but, I decided to talk to him as I would anyone I saw struggling and just try to chat with him like a human… I wanted to be someone real, despite the costume. Hopefully that came across, but who knows. I don’t know whether I was exhausted or just over-stressed but whatever the cause… I had a bit of a meltdown. Just a mental blackout where I couldn’t really take anything in! It made me just float around the rest of the convention without a second glance at anything. 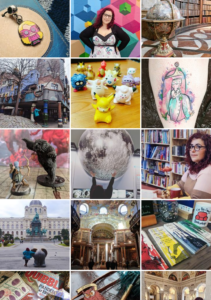 It felt like tunnel vision and as soon as I got home I fell asleep and have taken a full week to recover enough to feel well enough to write this post. 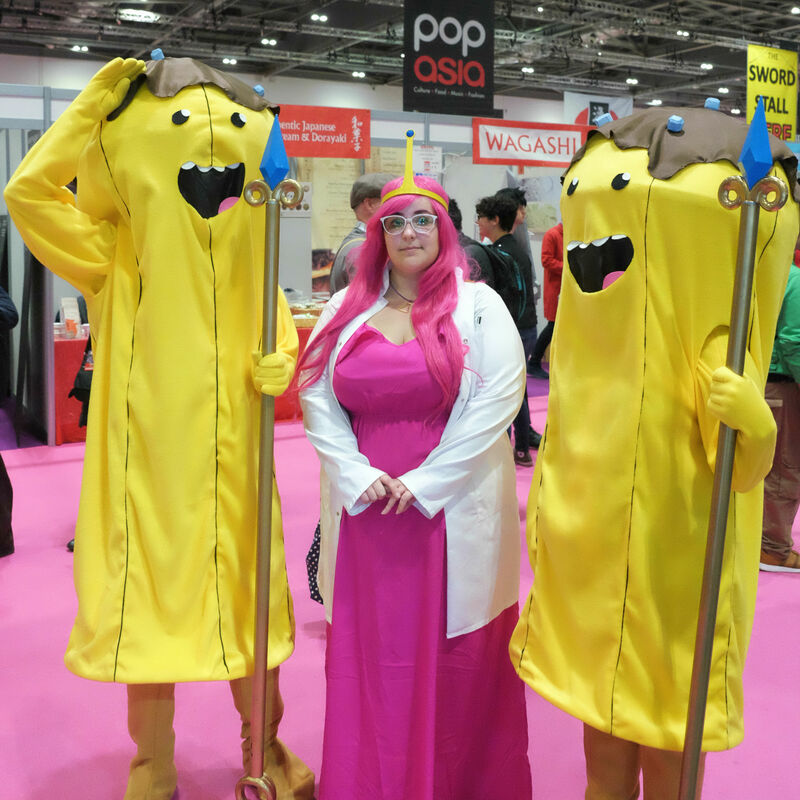 I hope to just not put myself in that kinda situation again… I think next time I will stick to Birmingham Comic Con as it’s close by, more casual and it will give me more prep time and less travel time! 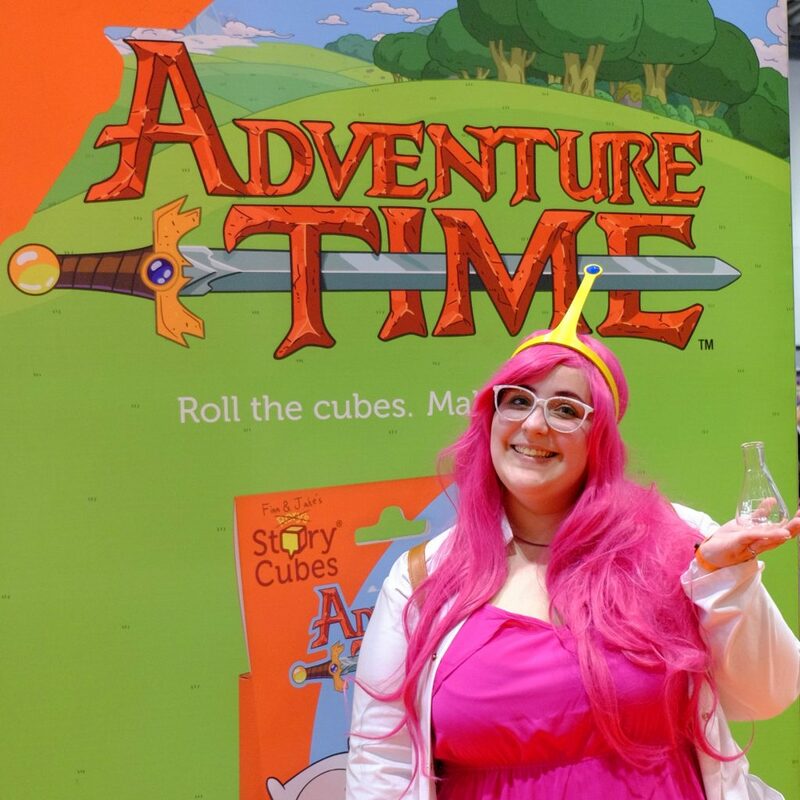 You look awesome! Glad you had a good time, and that you’ve recovered from the mental exhaustion. You’re version of PB is gorgeous! 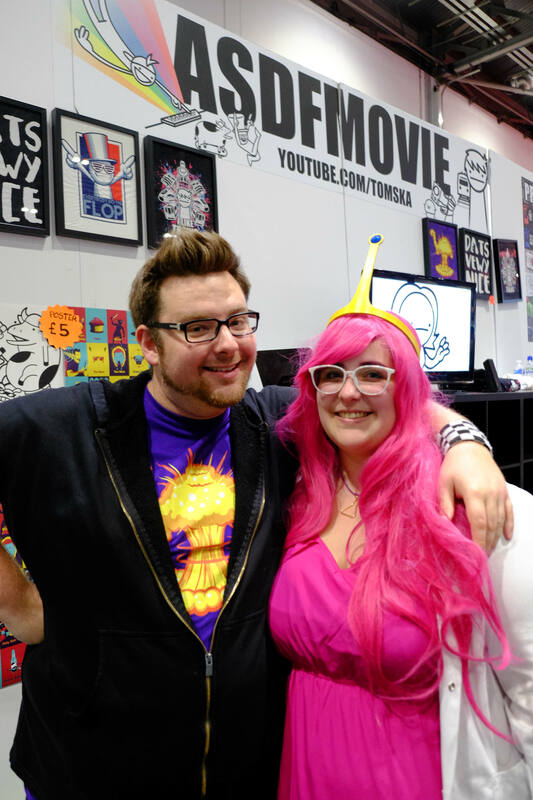 And I TomSka is one of my favorite YouTubers as well! 😁 That had to of been awesome getting to meet him. 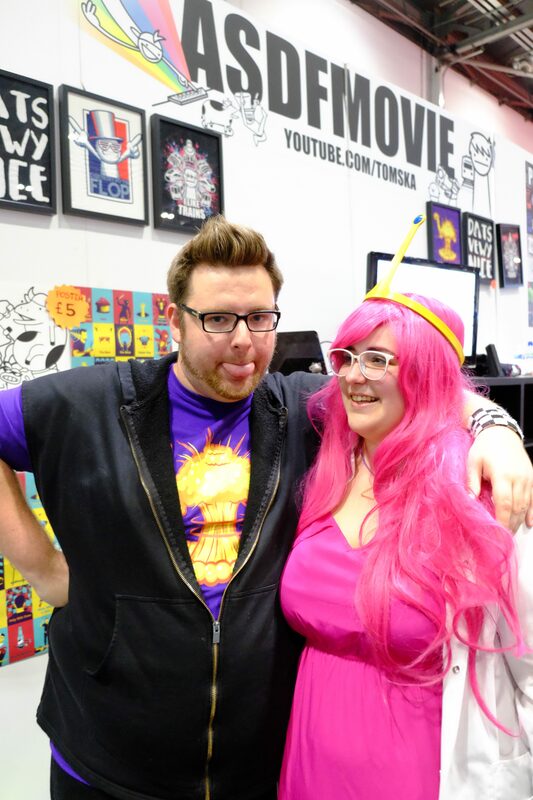 I’ve never watched TomSka before, but I’ll be checking out his channel today. I’m always looking for YouTubers/vloggers that keep things on the real side. Aw thank you! His second channel, Darksquidge is where he has all his vlogs and a new series called “Content” – he’s very funny generally, even though his sketches on his main channel are a bit more silly / kiddy! Thanks so much for the compliments too! And definitely they are very overwhelming at times! 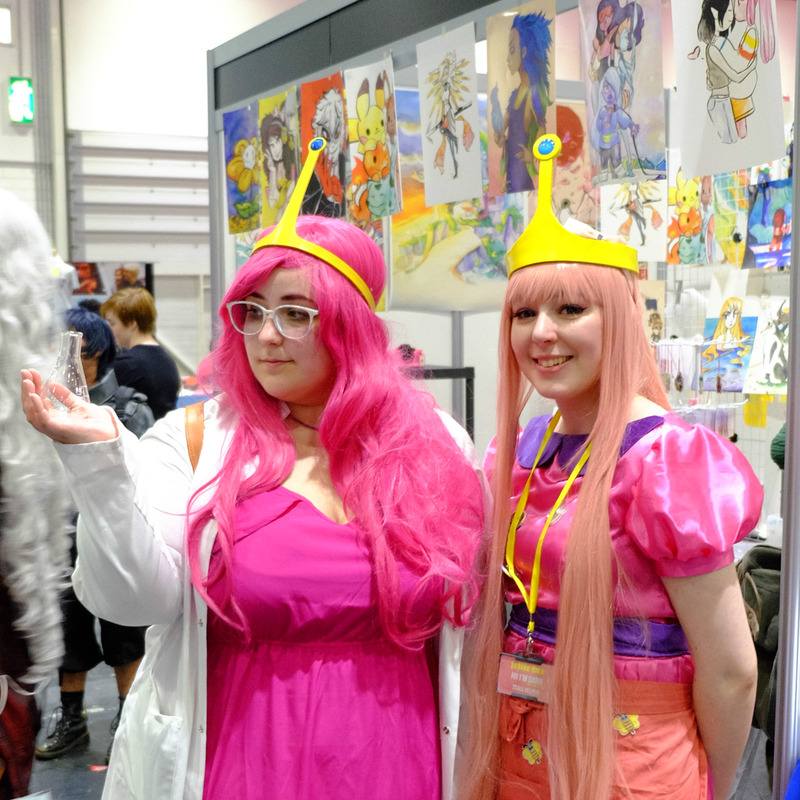 Your cosplay is adorable, I absolutely love it.